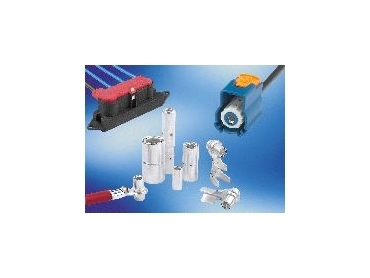 Amphenol’s connector system will range in performance between 80A and 250A. AMPHENOL is developing a high power connector system with hyperbolic contact geometry for pluggable connections to fulfill the requirements of a high-power connector in an automobile. The number of electronic components in modern cars is rising steadily and will continue to increase in the future. This is leading to an increased demand for electrical power in the car, which exceeds the limits of conventional connector technologies. Due to the delay in converting to a higher power board voltage, applications with a capacity of between 80A - 150A are normal, but an increase of over 250A appears realistic. Amphenol’s connector system will range in performance between 80A and 250A. For special applications, currents of up to 1500A are feasible. The transfer to stamp and bending technology and fully-automated production ensure an economical and supervised process. Besides a low contact resistance, which, amongst other things, is based on the principle of the parallel connection of the grid lamellas, a very large contact area between the contact bolt and the grid can be achieved. In addition, it is also possible to mate the connector to threaded studs, without any significant changes to the performance. Through the contact of the grid over the whole area of the bolts, optimal absorption of vibrations is ensured.